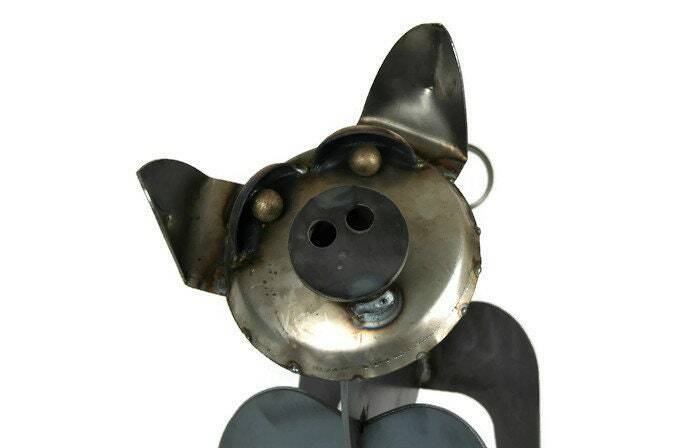 This adorable pig sculpture is cut from thick, heavy duty steel. 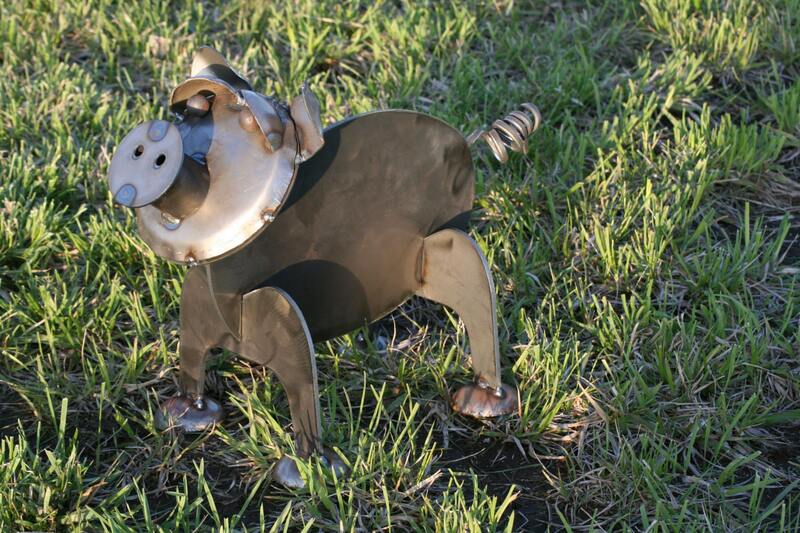 The pig is a sturdy addition to your landscape. 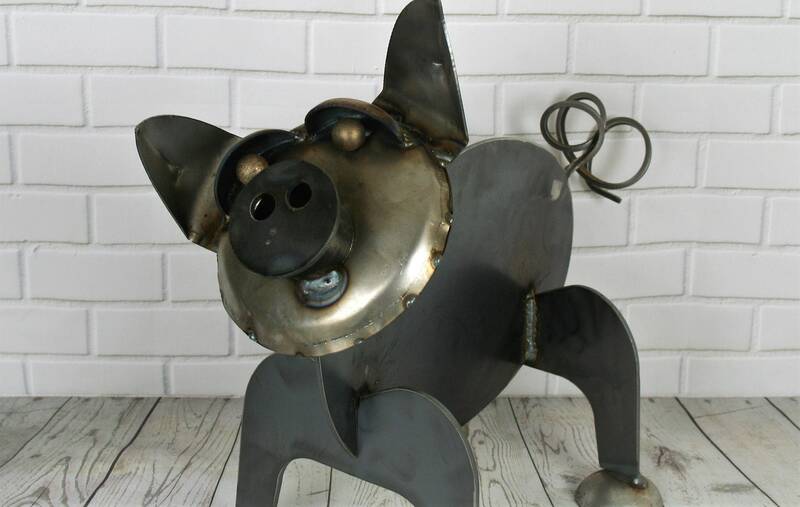 Charming little pig will not blow away! 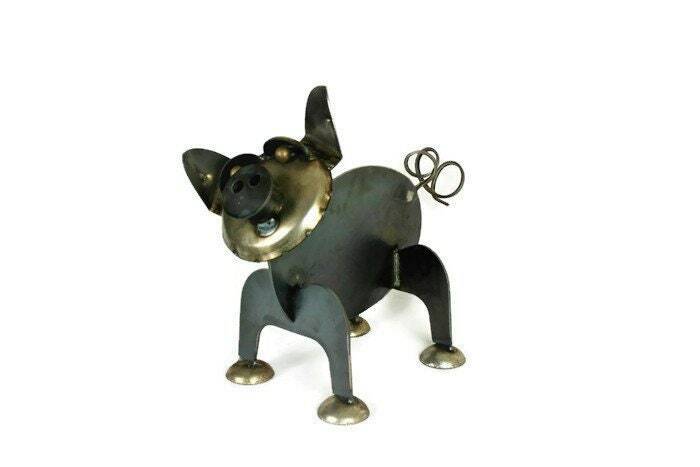 This adorable metal pig will rust with time, but it is made to last for decades to come. 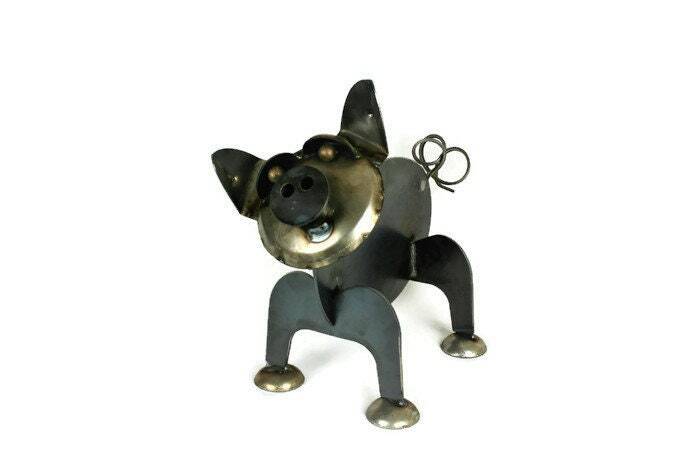 The patina will only add to the aged look of the farmhouse pig statue. 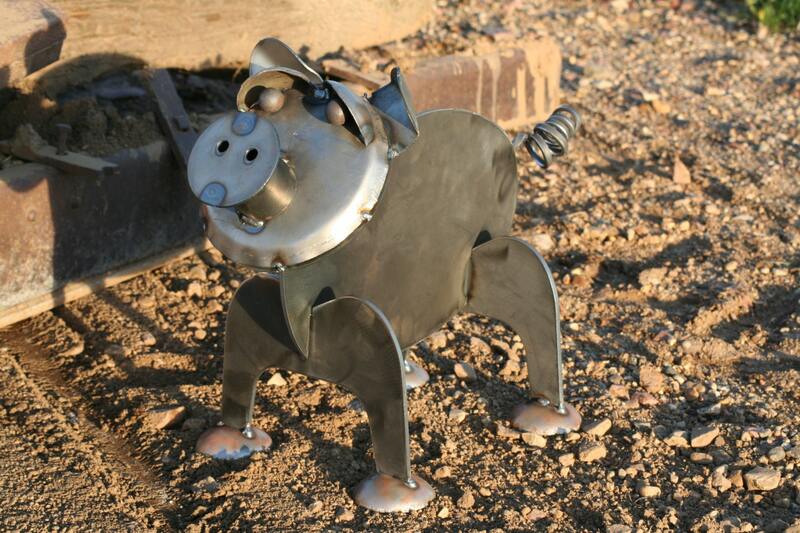 Roughly 13" tall and 19" from snout to twisted tail. 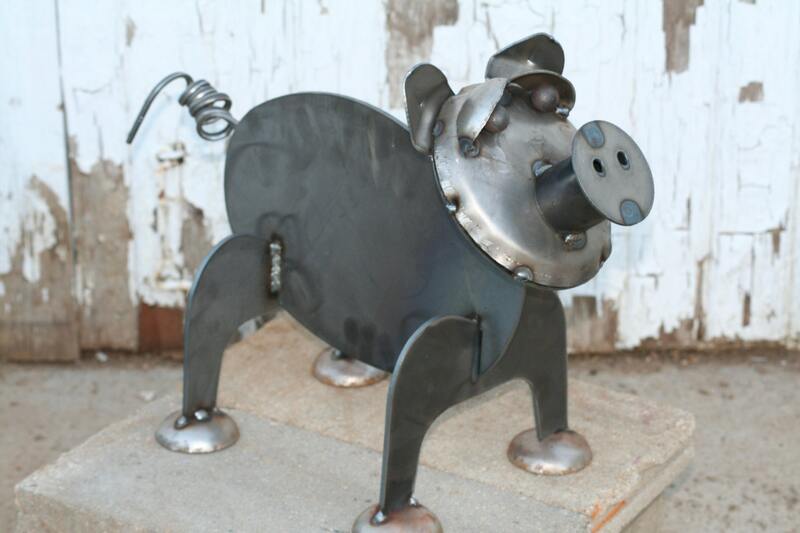 Feet, face, eye lids, ears and tail are bent by hand before the pig is welded together. 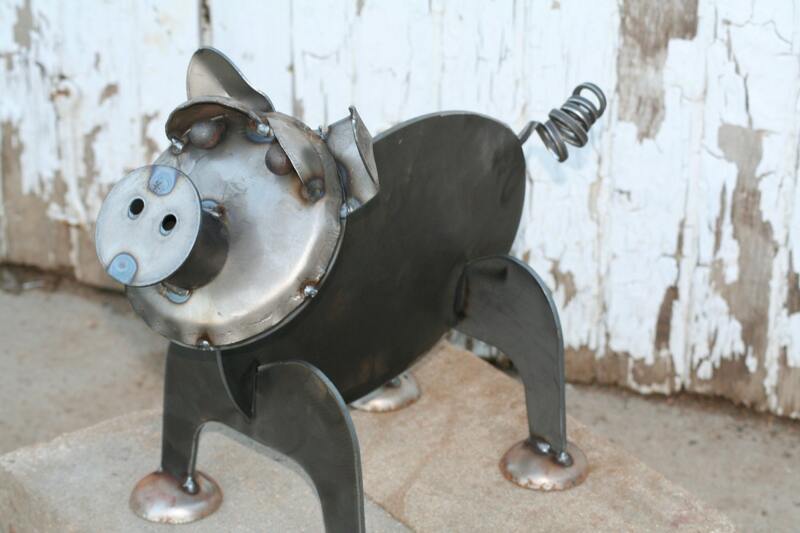 Every pig is slightly different, so yours will be one of a kind! 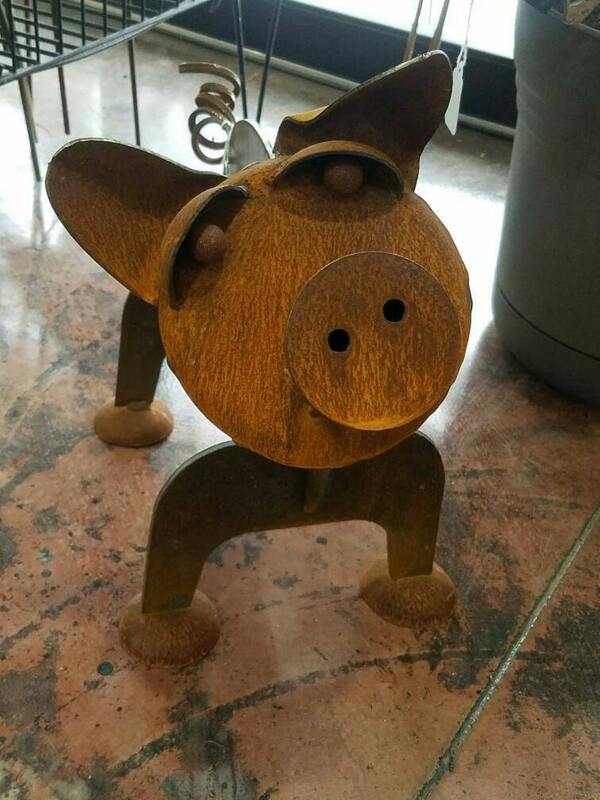 Your pig will ship for FREE! No additional surprises at checkout. 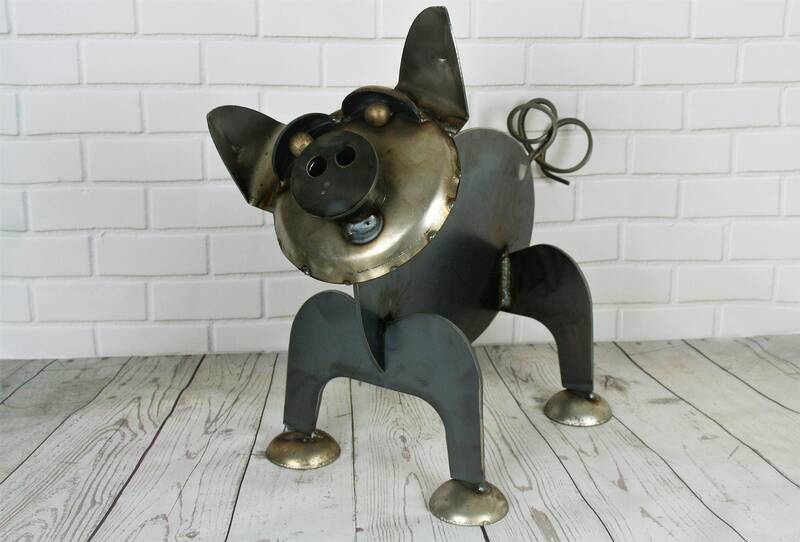 We hope you love this little piggy as much as we loved creating him!